A blend of 94% Shiraz and 6% Cabernet Sauvignon, this was considered to be "an uncharacteristically soft, fruity Grange." Everyone at the tasting agreed with those comments. This wine shows a syrupy creme de cassis, earthy note, some pepper, and caramel. 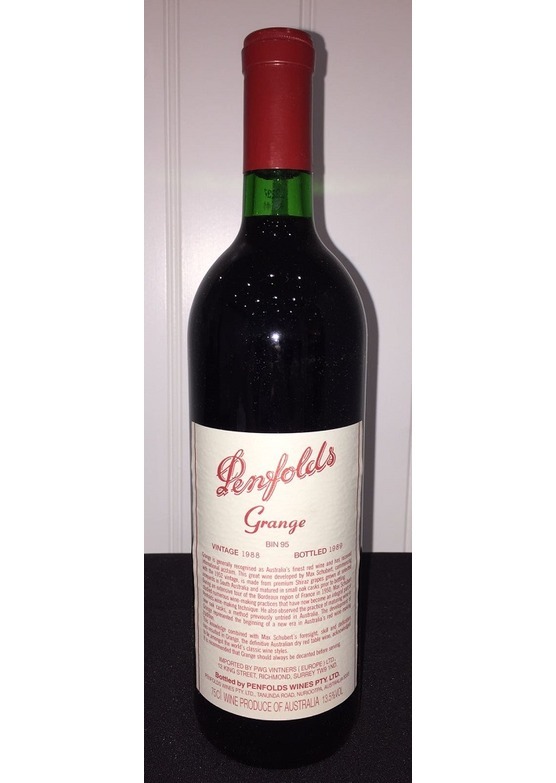 It is somewhat soft and accessible for such a relatively young Grange, but there is plenty of structure and tannin in the finish. It is certainly perfumed and more evolved than some of its siblings that are actually older, chronologically speaking. This wine has sweet, full-bodied, plum, cherry, and cassis flavours, with some distinct truffle and asphalt notes.